I’ve chosen Rosario Castellanos for our third poet since I’ve made my website region, From the Women’s Canon: Foremother Poets because I’m strongly drawn to her poetry and I chose lines from one of her poems as the epigraph for its index. She’s particularly fitting for an Austen reverie because she writes as a spinster, and yes she was an important Mexican poetic voices of the 20th century (as Louise Bogan, my first choice since my website was an important mid-20th century American poet). like a basket of green fruit, intact. even the echo of the smallest wave. the wind as it passes. the flower under the searching fingers of a blind man. like nocturnal beasts in the jungle. it is waiting for a name, as the cactus the rain. under which they buried my ancestor alive. although fields dry and souls burn up. or Magdalene, or Clementina Isaura. Another way to be human, and free. (while the other is in eclipse). or a witness without mercy. stretches herself out on her bed of agony. with made-up dialogues and men. And the spinster waits, waits, waits. with a lipstick the blood she does not have. And smiles at a dawn without anyone at all. making me divide every mouthful in two. to my own way of being on the earth. the quota of time essential for his history. of solitude, of gazing out from behind a window. Many online poems in her original Spanish, from a good full website dedicated to her. A short biography: born 1925 in Mexico, she was born a daughter to wealthy people, well-educated and well-connected, but as revolution and reform swept Mexico her family were stripped of much of their land. Within a year of moving to Mexico City, her parents were dead. She did fend for herself. She became a poet, a diplomat (ambassador to Israel from Mexico) and professor, and she published. She grew up originally on a ranch in Chiapas, and her memories, what she saw, became central to her writing as well as her gender. She is said to have been the first woman from there to publish a book. She wrote a weekly column for a newspaper, Excelsior, and joined the National Indigenous Institute, writing scripts for puppet shows that were staged in impoverished regions to promote literacy. It was upon her parents’s death in 1948, that Castellanos published her first collection of poetry (Trayectoria del polvo), and was able to go to Europe. So she had that essentail trip away, back to Europe, France too, so important to women writers. She is said to have studied Virginia Woolf and Simone de Beauvoir while there. Her feminist essays are much influenced by and acknowledge Beauvoir (especially her “Leccion De Cocina” — but a more ironic defiant stance). She was ever shaped by her Spanish ancestry. In 1950 in Mexico, she defended a master’s thesis, “Sobre cultura femenina” (On feminine culture), and perhaps (I would put it) clawed her way to director of cultural programs for the State of Chiapas? Perhaps no one else wanted it. 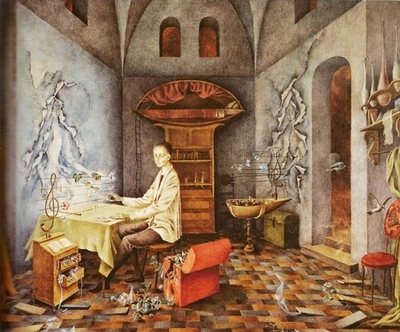 A brief marriage (1957-1961); one son, Gabriel (1961), then teaching at the National University of Mexico in the 1960s. She wrote one major play, three novels and short fiction too. At least two have been Englished: Balún-Canán(1957), translated as Nine Guardians by Irene Nicholson; The Book of Lamentations (1962), translated by Esther Allen. A famous book is The Eternal Feminine. She said her letters would serve as her autobiography. Balún Canán and Oficio de tinieblas (translated into English as The Book of Lamentations) is semi-autobiographical and depicts a Tzotzil indigenous uprising in Chiapas based on one that had occurred in the 19th century. Among the Englished novels, Nine Guardians attracted stimulating reviews, e.g., Rodman, Selden. “Children Caught in a Storm.” The New York Times Book Review (5 June 1960): 5. On these short stories and the longer fiction: See Mary Gomez Parham, “Alienation in Rosario Castellanos’ Ciudad Real [her 2nd collection], Letras Femeninas 15.1-2 (Spring 1989): p22-27. 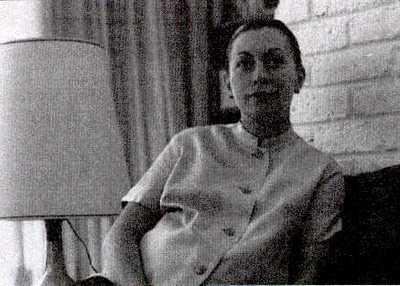 In her final work of fiction, Castellanos turned from the difficulties of racial and class conflict, from provincial to urban Mexican: Mary Gomez Parham, “Moving Toward the Other: New Dimensions in Human Relationships in Rosario Castellanos’ ‘Album de familia,’ Chasqui 17.1 (May 1988): p3-7. Marriage is one of its themes: Geldrich-Leffman, Hanna. “Marriage in the Short Stories of Rosario Castellanos.” Chasqui 21.1 (May 1992): 27-35. Rpt. in Short Story Criticism. Ed. Jenny Cromie. Vol. 39. Detroit: Gale Group, 2000. Castellanos was humorous, witty, too: Nina M. Scott, “Rosario Castellanos: Demythification through Laughter, Humor 2.1 (1989): p19-29. 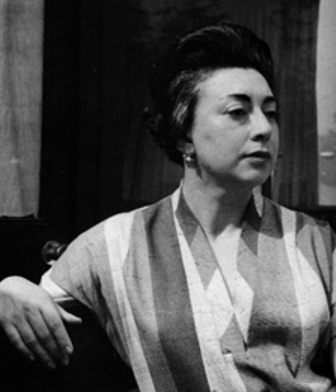 I chose an appealing photograph of Rosario Castellano when young to begin with: a black-and-white photo of her as a young woman with her hair pulled tight back and plainly into a knot at the nape of her neck; she wear a plain white T-shirt and pinafore or jumper of soft material. She leans on a desk with a book near her; at her back are shelves of books and folders. She has a straight-forward look, slightly dreamy on her face. A sad sudden death when she was still young: she died in Tel Aviv in 1974 at the age of 49 after accidentally electrocuting herself while doing her hair. It’s been suggested she might have killed herself, but many dispute this and this kind of impulse seems foreign to her writing self. Yet there is an intense ironic melancholy & alienation in her writing (why I like it). If you’re like me and have a humble working library in English: these three anthologies can start you off with brief selections, a life, and list of books: Carol Cosman’s The Book of Women Poets; Angel and Kate Flores, The Defiant Muse: Hispanic Feminist Poems; Aliki and Willis Barnstone, A Book of Women Poets from Antiquity to Now. 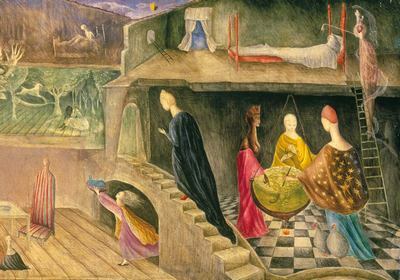 Lund Humphries, Surreal Friends: Leonora Carrington, Remedios Varo, and Kati Horna. For her prose and fiction too: A Rosario Castellanos Reader, ed. trans. Maureen Ahern. University of Texas Press, 1988 (400 pages! ); Meditation on the Threshold a Bilingual Anthology Poetry by Rosario Castellanos (Jun 1988). “Rosario Castellanos”. Spanish American Woman Writers: A Bio Bibliographical Source Book. Ed. Diane E. Marting. Westport &London: Greenwood Press, 1990: 140-155; Anderson, Helene M. “Rosario Castellanos and the Structures of Power”. Contemporary Women Authors of Latin America. Ed. Doris Meyer & Margarite Fernández Olmos. NY: Brooklyn College Humanities Institute Series, Brooklyn College, 1983: 22-31; Schaefer, Claudia. Textured Lives: Women, Art, and Representation in Modern Mexico. Tucson: University of Arizona Press, 1992; Turner, Harriet S. “Moving Selves: The Alchemy of Esmero (Gabriela Mistral, Gloria Riestra, Rosario Castellanos, and Gloria Fuertes)”. In the Feminine Mode: Essays on Hispanic Women Writers. Eds, Noël Valis and Carol Maier. Lewisburg: Bucknell University press, 1990: 227-245. Rosario Castellanos (1925-74) is a marvelous choice.Thank you Ellen,thank you so much. She also sent me some notes from Nora Weiser’s 1980 Perivale anthology, Open to the Sun: A bilingual anthology of Latin American Women’s Poetry. Castellanos’s book, Poetry It is not You represents a selection of her poems from 1948-71. “Her poems undergo a definite evolution. In the beginning the language abounds in imagery. Elements of. nature provide an abundant source. In these earlier poems we fmd, for example, an idyllic nature in harmony with humanity’s innocent state. When the innocence disappears, the natural world becomes sterile; even hostile. Gradually we see in her poetry a process of elintination. The language becomes more direct and simple. The most minimal daily experiences are incorporated. There is an increase in the use of irony and ironic humor. One can sense in this ironic humor an escape valve. The suffering and even despair are not diminished. They are only expressed differently. One of the themes that has been literally buried in Latin American literature is the status of women as expressed by women in protest. Castellano’s poetry voices a protest about the condition of women. In poems such as “Learning about things,” the message of Rosario Castellanos is quite clear.